Mandatory recycling in the Castro Valley Sanitary District service area is effective as of July 1, 2014 for all businesses and institutions as well as multi-family properties with 5 or more units. Phase 2 of the Mandatory Recycling Ordinance began January 1, 2016, which adds food scraps and compostable paper to the “Covered Materials” list. Businesses and institutions that generate significant quantities of organics (food scraps and/or compostable paper), such as restaurants and grocery stores:* Provide containers and service of sufficient number, size and frequency for organics. 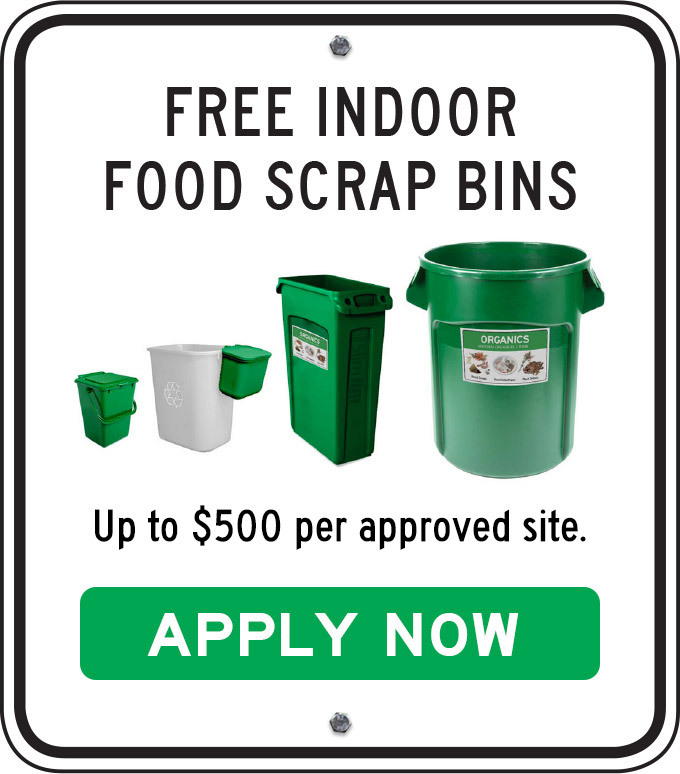 Businesses and institutions that generate significant quantities of organics, such as restaurants and grocery stores:* Place food scraps and compostable paper in separate organics cart/bin for organics collection. The Castro Valley Sanitary District (CVSan) contracts with Waste Management of Alameda County for garbage, recyclables and organics (food scraps, food-soiled paper and plant debris) collection service. In CVSan, collection rates for recycling and organics cart service are less expensive than garbage service. For business and multi-family customers that are already paying for 3 cubic yards of garbage service per week or less, recycling is included. Free onsite waste and recycling assessments are available upon request. Customers may also submit a request form for internal containers and equipment (see below in the Support Materials section for more information). Below are downloadable support materials specific to the Castro Valley Sanitary District (CVSan) service area. Additional support materials for any community are also available for businesses and institutions and multi-family properties.